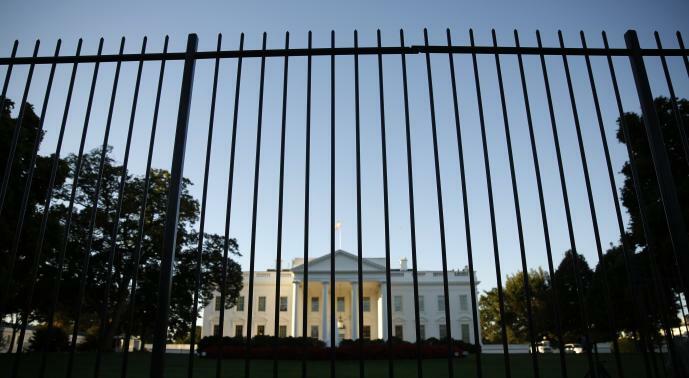 The prospect of more of the U.S. capital being closed off after an intruder got into the White House has struck a nerve in Washington over public space being eroded by barricades and bollards. The possible tightening of security around the president’s residence, a highly visible symbol of democracy and a prime draw for tourists and protesters alike, raises questions like whether safety trumps openness or whether a capital city can ever be entirely safe, analysts said. The week after a 42-year-old Iraq war veteran climbed the 7-foot (2.1-meter) wrought-iron fence, sprinted across the lawn with a knife in his pocket and entered the executive mansion through an open door, law enforcement officials erected a second fence around parts of the White House. They are considering further measures including closing more sidewalks to pedestrians, setting up additional barriers and possibly searching the bags of people approaching the building, the Washington Post and the New York Times said, citing unnamed sources. “So you’re going to further isolate the White House. Why don’t we just move the White House out to West Virginia or something?” said Steven Bucci, a national security expert at the Heritage Foundation, a conservative think tank. Increased security measures have shut off large parts of the capital in the last 20 years, especially after the Sept. 11, 2001, attacks on New York, Washington and Pennsylvania that killed almost 3,000 people. They have include the closing off of traffic on Pennsylvania Avenue and a second street around the White House, and the shutting off of the West Terrace of the Capitol, which offers a sweeping view of the National Mall’s museums and monuments. The Supreme Court’s front doors are sealed off. The former head of the Capitol Police, which oversees security at the white-domed landmark, has advocated making a dozen blocks around it a no-drive zone to block potential car bombs. Judy Scott Feldman, president of the National Coalition to Save Our Mall, said more closings would only erode Washington’s democratic symbolism. Safeguarding the president and his family, other top U.S. officials and visiting foreign leaders is the responsibility of the U.S. Secret Service, which has been battered by drinking and prostitution scandals in recent years. The agency began reviewing White House security after veteran Omar Gonzalez made it into the White House on Sept. 19, at a time when President Barack Obama and his family was not present. Gonzalez, who faces an unlawful entry charge, told an agent he needed to get information to the president about the atmosphere collapsing, according to court documents. A House of Representatives oversight committee has scheduled a hearing on the breach for Tuesday. The Secret Service declined to say if it had settled on permanent measures to raise White House security. “The U.S. Secret Service is not aware of any definitive plans to add increased permanent security measures around the White House,” spokesman Brian Leary said in an email. Washington Mayor Vincent Gray said the security of the president and the White House was paramount but noted that people need to feel comfortable in the city, especially tourists who are vital to the local economy. Last year, Washington had a record 19 million visitors who spent $6.7 billion, according to the tourism bureau. Bucci, of the Heritage Foundation, said hundreds of millions of dollars had been poured into physical security in Washington since the 2001 attacks. Every government building had set-back areas and such features as concrete barriers, street-blocking bollards and its own security force, he said. Thomas Luebke, secretary of the U.S. Commission of Fine Arts, which advises on design matters in the capital, said his panel’s top task since 2001 had been dealing with security features.